For centuries prior to the development of the metallic planes, wood served as the material for nearly every plane that was used by cabinetmakers, carpenters, coopers, carriagemakers, wheelwrights, etc.. Wood, being plentiful, cheap, and easy to work found its way into countless forms and functions of planes. Wood offered the tradesman of yore an unlimited range of planes at their very fingertips, with the only dependence being a source for the iron, which was generally available from a local blacksmith or from a dealer in hardwares. The common range of traditional wooden planes - their functions, their construction, their uses, their warts, etc., - can be found by following the links below. But, prior to that, some explanation of what wooden planes are, along with the general terminology used to describe them, is presented. 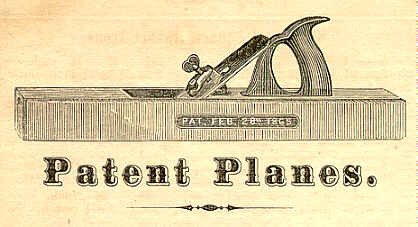 The typical wood plane is comprised of just a few parts. All wooden planes have a stock, or body, most often made of beech, which carries an iron that's held in place with a wedge that's normally made of the same species as the stock is. 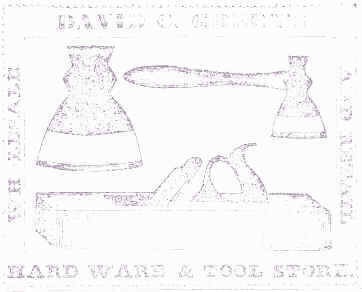 Some planes, like the longer bench planes, also have a tote, or handle, behind the iron and sometimes a turned knob or strike ahead of the iron. There, now you're an instant expert in wooden plane identification. At least from a gross vantage point you are. However, there are subtleties about wooden planes that only the diehards recognize, and by reading the following, you, too, will be able to converse about things rykenological with the best of them. Using them is another matter altogether, and that's a lesson that can also be found here. Wooden Plane Terminology - Buzzwords that the experts use when in mixed company. 18th vs. 19th Century Planes - Beyond Routerdome: The Way it used to be.